In similar ways that personality can be expressed through our clothing choices, much can be said for the interior design styles that we choose. Whether it’s bold colours, neutral shades, unusual textures or even the quantity of furniture, we reveal a lot about ourselves through even the smallest of style choices. In an office environment, this is no different – except the styles you choose will also reflect the personality of your company. Perhaps the most obvious way to showcase your personality is through colour choices. Typically, bright colours such as yellow represent optimism and happiness, whilst cooler colours like blue tend to reflect genuine and reliable personalities. 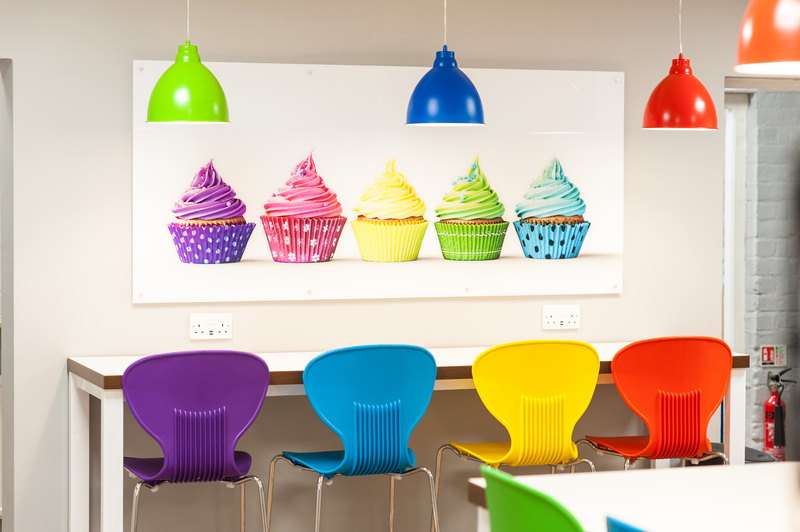 In the office, statement colours tend to have an impact on employee productivity. Bold colours such as red stimulate mental activity whilst calmer colours like blue or green encourage harmony, focus and creativity. Before choosing a wall colour, it’s important to think about how you want your company to be perceived, and the kind of work that matches your company the best. If you’re someone who likes a lot of colour, consider incorporating this in furniture pieces. 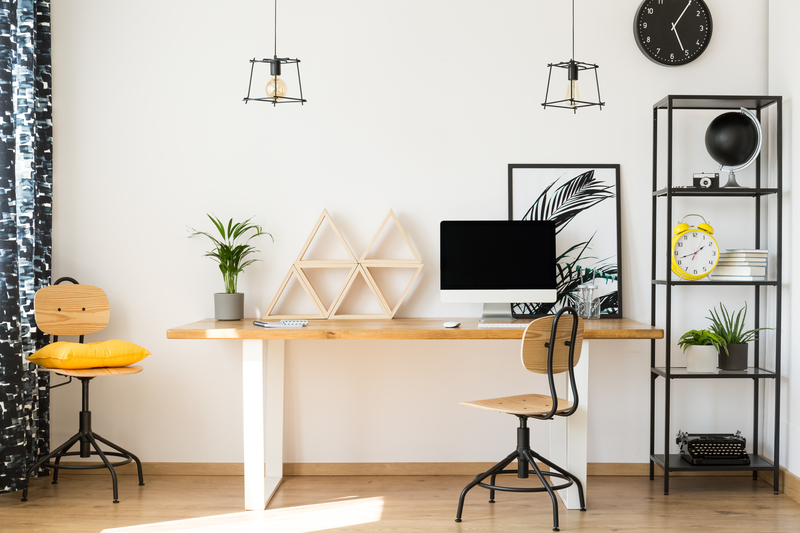 Alternatively, if you prefer a more neutral colour palette, incorporating this correctly can make for a sophisticated and chic look in an office. A room can look unstylish if not designed intelligently to work around neutral colours. These colours tend to appeal to the widest amount of people and leaves a good impression, so it’s definitely a good option to consider if you prefer a more subtle palette. A fun way of adding more personal touches into a design is through incorporating furniture and other assets that are inspired by your hobbies. If you’re interested in music, for example, placing a few musical ornaments or even a vintage record player in the room will add a touch of your personality – and most certainly act as a conversation starter! If you’re a big reader, perhaps you’d consider adding in a few bookshelves – both as decoration and for employee leisure. It’s also a good idea to consider asking your employees what their hobbies are and including this in the design too. Not only will this make for a more interesting and unique office, but it will also help to improve employee satisfaction. Lighting can also help to show personality. A fashion-based workplace, for example, may opt for a more classic style of lighting, such as a chandelier to show sophistication. An interior design company may consider a more contemporary, modern style such as pendant lighting. Offices, on the other hand, tend to go for functionality rather than aesthetics, since workers are computer based. Therefore, lighting that’s not too bright but allows workers to see their computer screens comfortably tends to be more suitable. The amount of seating you have in your office will show how inviting you are as a company. 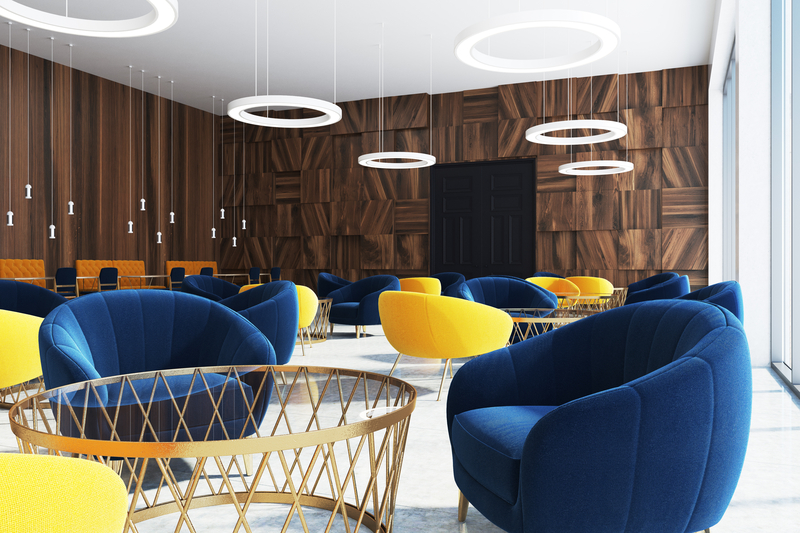 Providing extra seating than is necessary can give the impression to clients and visitors that you’re a welcoming, sociable bunch of people who have an open door. Additionally, adding comfortable guest seating with a few throw cushions makes the seating area more inviting, creating a homelier atmosphere – which is apt, considering the latest office trends are inspired by the home. Similarly, an open plan office can create a sociable atmosphere with a sense of togetherness. In offices that have suitable measurements, designing an open plan office would certainly benefit the company’s reputation and create perceptions of yourself and your employees as inviting people. Artwork is another great way to show personality. Whether it’s a personal favourite or something that reflects a company goal, much can be interpreted from a well-chosen art piece – and since vision is our most dominant sense, you’re going to portray a good deal of personality through art. Similarly, vintage and antique items dotted around the office show intelligence and a love for history – so this is a great idea if these interest you! If luxury is more your style, you can express this through dark woods, deep shades of red and layered furniture styles. 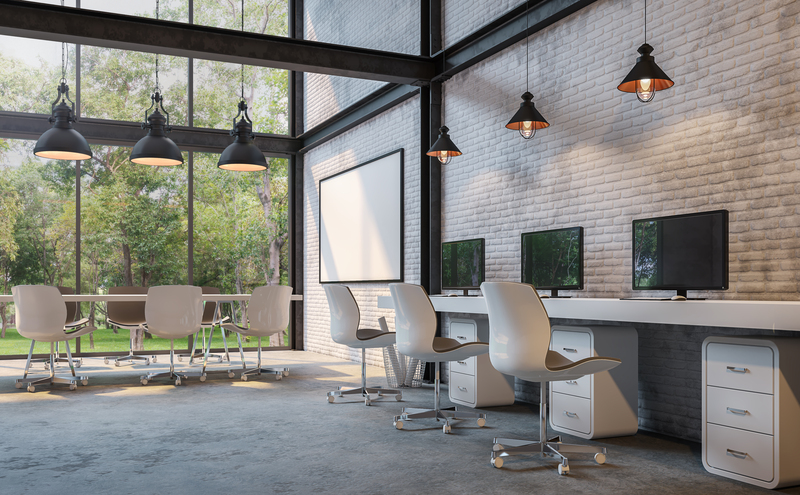 This creates a high-end, sophisticated appearance that’s great for modern, contemporary workplaces. There are many ways that personality can be expressed in interior design, whether that’s through colour or furniture choices. In an office, it’s essential to convey the right message about your company, so it’s important to choose styles that reflect your company’s values and goals. At Cobus, we can help you make these decisions, ultimately creating an office that represents your personality perfectly.